Explore an alternate hostile world in single player and co-op where you must craft, defend and fight to survive. Craft, defend and fight to survive. 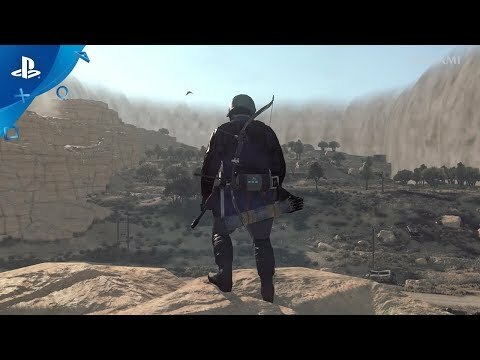 METAL GEAR SURVIVE is a survival action game in an alternative universe. In a struggle to survive and understand this hellish new environment, players engage in both single player and connected co-op. In the battle for survival scavenged materials must be wrought into usable items, gear and weapons if you are to have any hope of making it home. 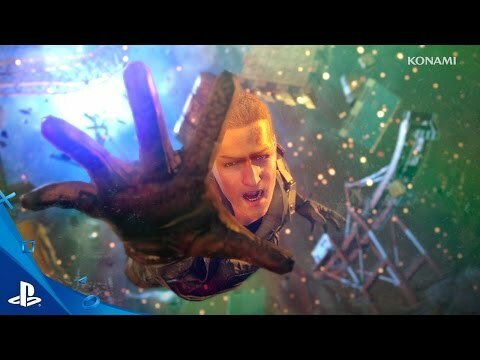 Following Big Boss’ escape at the end of METAL GEAR SOLID: GROUND ZEROES, a solider on the collapsing Mother Base is nearly pulled into a wormhole that opens over the base. The solider loses consciousness and awakes six months later in a facility belonging to Wardenclyffe Section, a secret research organization within the United States government. Players take the role of this soldier with a goal of rescuing those pulled into the wormhole half a year ago and to find a cure for a mysterious infection. “You don’t get to sit this one out. You’re already infected with that lifeform I was telling you about,” a man named Goodluck in Wardenclyffe Section instructs. Two ways to play – single player and co-op. These modes are linked via Base Camp, and character progress and gear carries between the two modes. Build and develop your Base Camp. This offers access to crafting weapons and gear, as well serves as a command center for planning missions in both single player and co-op modes. Gather resources, blueprints and raw materials for use in crafting. These can be gathered in single player mode by exploring the environment or won in successful co-op missions. Develop Base camp with new facilities to aid survival, including crop growing, animal rearing, and food and water storage. As your camp develops you'll gain access to high grade crafting items. Manage resources, including essentials such as food and water, as well as raw materials used for weapons, defences and expendables. Complete daily, weekly and special event Orders for rewarding materials and blueprints to be used in single player and co-op.